Every Pokémon you catch in GO will have unique characteristics assigned to it. 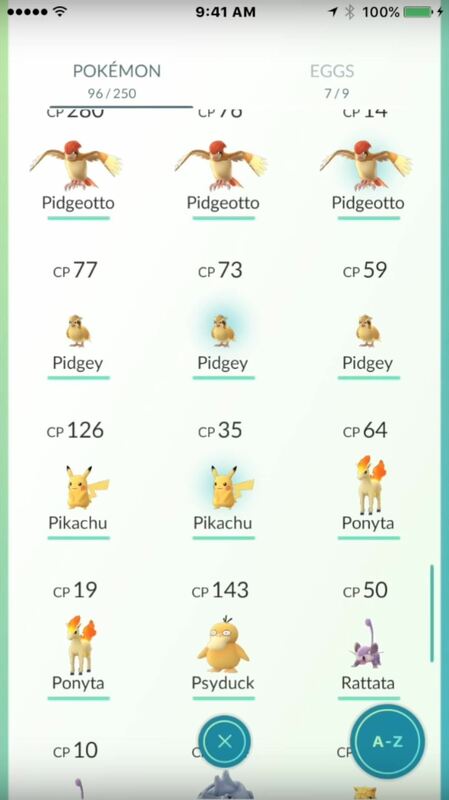 Even though you might have 100 Pidgeys, chances are that each of those Pidgeys will have different power levels. So what do you do? 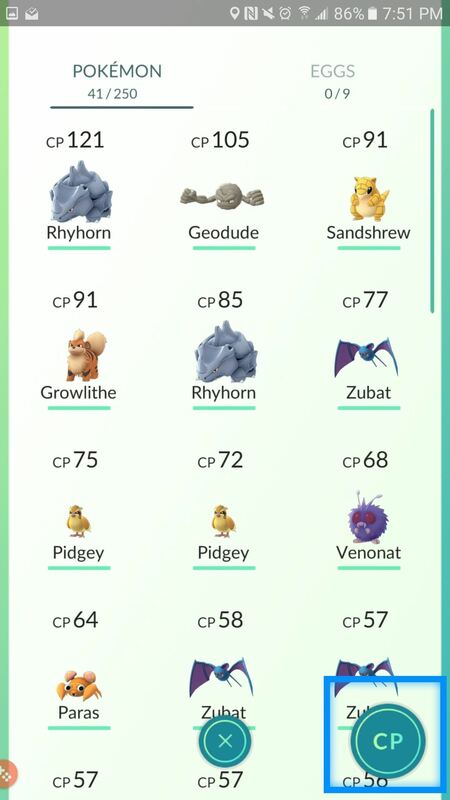 How do you decide which Pokémon to improve and which to transfer back to the Professor? 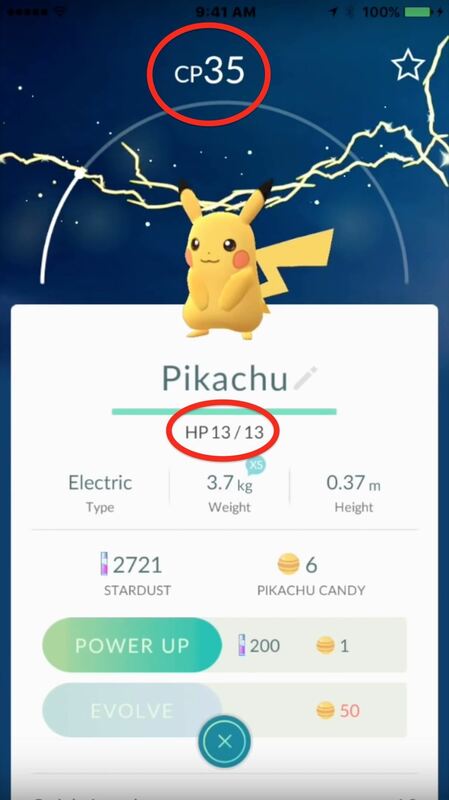 There are two stats to be aware of when analyzing a Pokémon: Combat Power (CP) and Hit Points (HP). The former shows how well your Pokémon can fight (attack strength), and the latter how much damage it can incur (health). 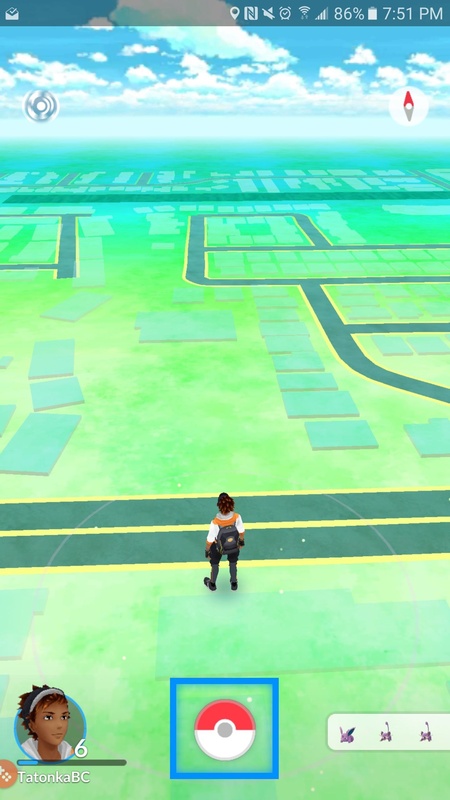 You can find these stats by going to the Poké Ball (main menu) from the map view and tapping on Pokémon. Here you can see the CP stats for each Pokémon, and you can select a specific one to see more details, including its HP stats. 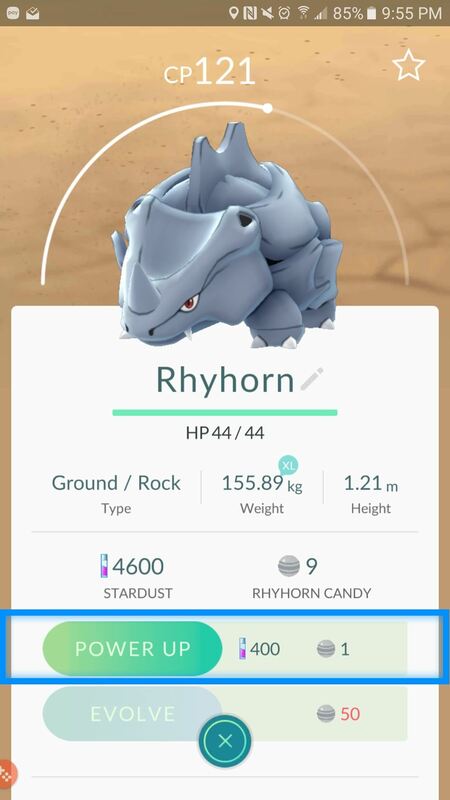 CP and HP are often closely associated for most Pokémon: those higher in CP will typically have higher HP as well. There are some cases where the CP will be low and the HP high, and in these situations, it is often better to favor the Pokémon with the higher HP as they will be better able to take damage while simultaneously dishing it out. In any case, it's best to keep an eye on your Pokémon's CP and HP, especially among duplicates, and use the star function to keep track of those with higher power levels. 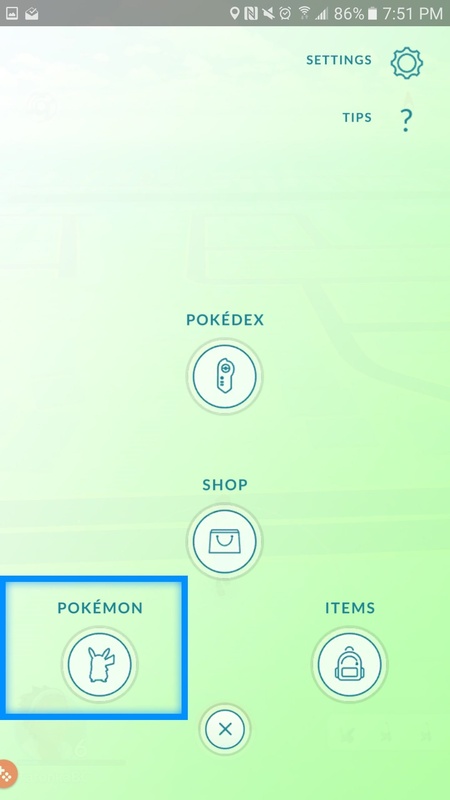 To do this, head to the Pokémon section, hit the circular icon on the bottom right, and select Combat Power to sort by CP. Once you've found the Pokémon with the highest CP, select them, then tap the star icon at the top right to "favorite" them. In order to improve your Pokémon, you're going to need two very important items: Stardust and Candy. Whenever you capture a Pokémon, you will be given a certain amount of Stardust and Candy. Stardust is a universal sort of item applicable to any Pokémon species. Candy, on the other hand, is species specific, and can only be used on that Pokémon and its evolutionary forms. 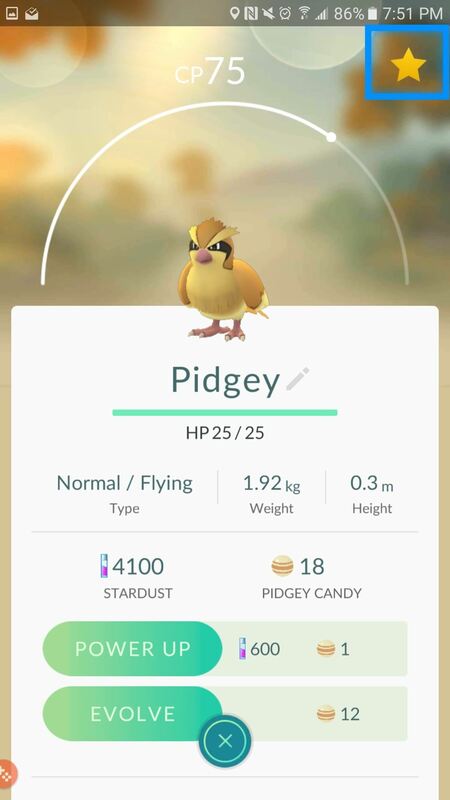 This means that to Power Up your Pidgey or evolve it into a Pidgeotto, you will be required to pony up a specific amount of Pidgey candy. 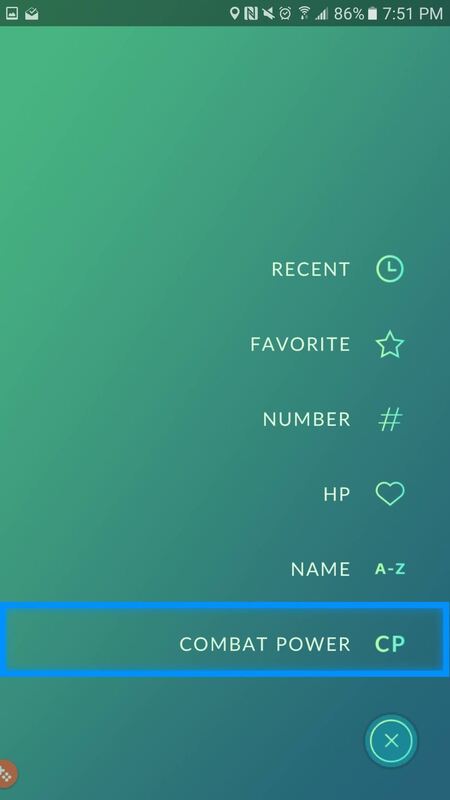 First, to see how much Stardust and Candy is required for a Power-Up or an Evolve, simply select a Pokémon and look towards the middle of the screen where you'll see two options for improving the stats of your Pokémon. 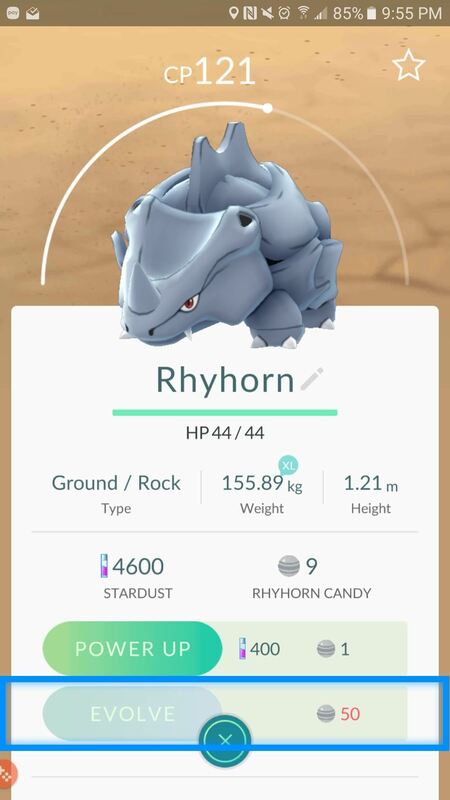 Powering up your Pokémon gives it a small boost in CP and HP for a relatively small amount of Stardust and Candy. The interesting part about all of this is deciding which action to perform first: Power Up, or Evolve? As you can see from the picture, evolving your Pokémon does not require Stardust; instead, this action requires a large amount of Candy. So what do you do? In my experience, evolving your Pokémon will randomly change its move set (the battle attacks it can do), and even though it requires a large amount of Candy, it is better not to waste Stardust or candies on powering up a lower evolved state, and instead Evolve your Pokémon first. Evolving your Pokémon first will ensure that you do not waste Stardust on Pokémon that might end up with a move set you hate, and at the same time, provide you with a large boost in your Experience Points (XP). These points will help you level up your trainer, and by leveling up, you actively increase the average CP your future Pokémon will have. If you evolve your Pokémon early and end up with a move set you dislike, you can always turn it in for Candy.